21 Teves - R' Yisroel Dov Ber ben R' Yosef of Vilednik (1850), author of Shearis Yisroel. He was known as a great Tzaddik and miracle worker. He was the primary talmid of R' Mottel of Chernobyl. His Kever is in Vilednik, Ukraine and gets many visitors. 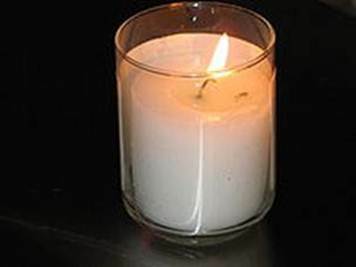 When One Lights A Candle In The Merit Of A Tzaddik Below. The Tzaddik Lights A Candle For You Above! "The Torah was given over in seventy languages clearly explained" (see Shabbos 88b) etc. The holy Torah itself is [written using] holy letters. Their are initially enclothed in the holy tongue [Hebrew]. Afterwards they are enclothed in sackcloth in thousands of different vestments and it contains the entirety of those seventy languages. In our place [in Europe] since we translate the entire Torah using the Ashkenazi language [of Yiddish] which is common among us, we have greatly prepared that language for receiving the sanctity contained in the holy tongue. It has an advantage [over the traditional Aramaic] in that we use it to explain and elucidate all matters of holiness that pertain to us more so than we use the Targum [of Aramaic] which does not aid us in clarification and understanding. . . I heard from my master the Holy rebbe of Czernoble that it was revealed to him from heaven in a dream that for three hundred years they are preparing and organizing the limbs of the Moshiach. He was told that it is hinted to in a Rashi that this preparation and organization is using La'az, foreign languages, meaning to say that Moshiach's limbs are are prepared specifically through foreign languages, this is a very deep thing indeed. This is because Moshiach's concept is to cause all the nations to call out clearly in their language in Hashem's name (Tzefania 7:15) because Moshiach is revealed once the seventy languages have been gathered together from among the seventy angelic princes which are sackcloth garments for Torah, and become nullified to the Torah as we all call out in Hashem's name. Not so when the Torah was given when there were seventy distinct languages, and they were including at that time in the holy Torah. However in the future all the power of the seventy languages will be nullified completely as it says in Tzefania above. 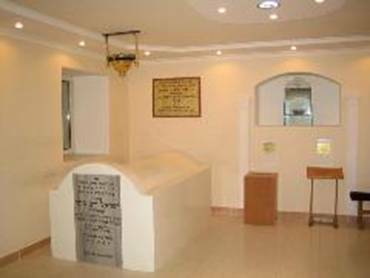 Truthfully the final task of refinement called Birurim is achieved trough languages, since every word and idea contains a spark of holiness and that spark is refined and uplifted through true unifications and combinations using foreign languages to elucidate and explain the holy Torah this is the purpose of the unifications and upliftment of the holy sparks. Therefore when you study and learn you should translate all you learn specifically into La'az - a foreign language. This rectifies sinful thoughts and evil thoughts which cause the holy sparks to fall into the realm of the broken vessels. This is because La'az - foreign language is the aspect of evil thoughts as in the words of Chaza'l our sages in Gittin 5b one who slanders and speaks ill of, is called Motzi La'az. However if you learn clearly [without translation] you do not purify them."